Bijoux like a London studio apartment, The Espresso Room is opposite the famous children’s hospital serving top-notch coffee blends alongside snacks – pastries and sandwiches. 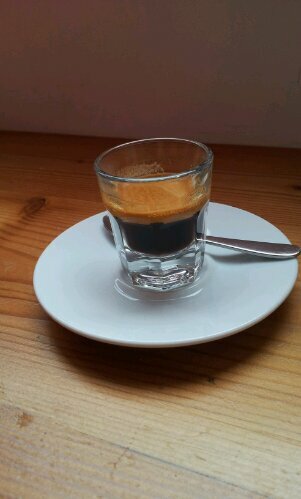 Lovely smooth and strong espresso in a tiny glass (much smaller than it appears), it’s a lovely place to spend five minutes. Four small wooden benches allow a few people to stop and sit, but the shop is only 6 feet wide and 10 feet long so no real space to move.